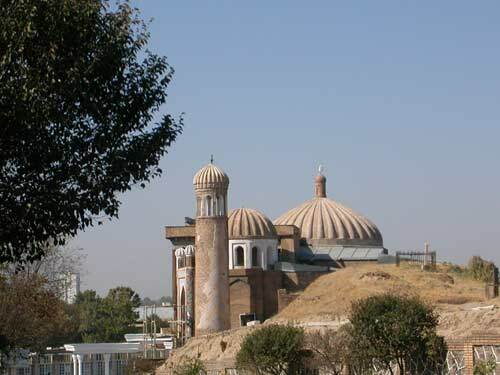 Khazrat-Khizr Mosque is one of the most ancient edifices of Samarkand, which was destroyed by Genghis Khan's hordes. It was rebuilt in 19 century. A beautiful Mosque stands on the elevation at the entrance of town from where a picturesque outlooks to Bibi-Khonym Mosque, the big bazaar and the mountains in the South appear.